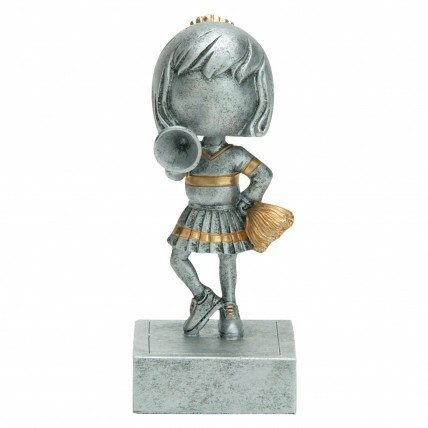 Our Cheerleading Bobblehead Trophies will be a hit with your youngest cheerleaders! These solid resin trophies resemble antique pewter with gold highlights. They feature a cheerleader holding a megaphone and a pompom with a head that wiggles and bops. 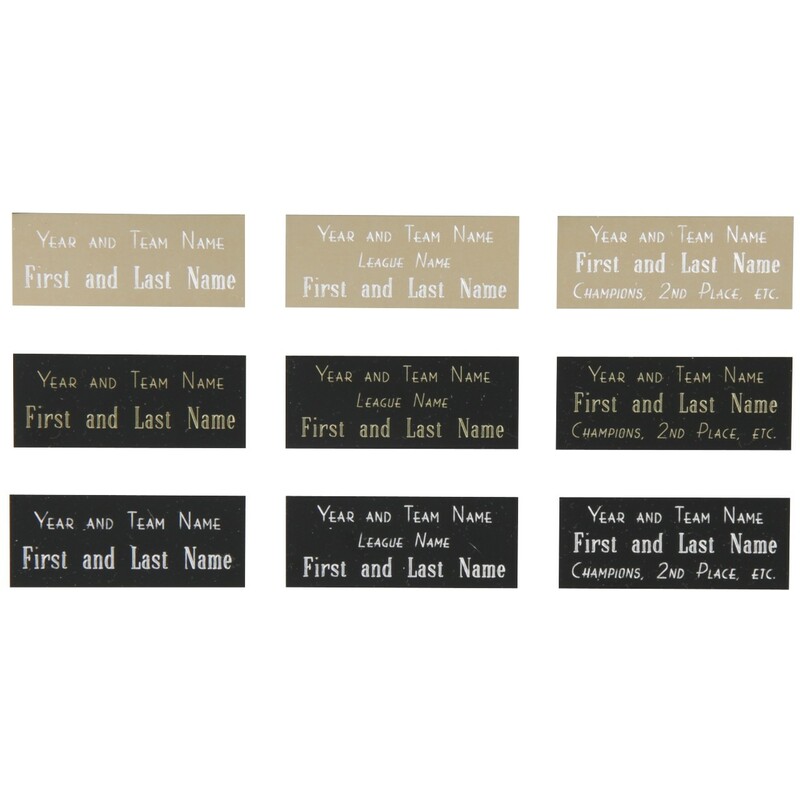 Includes 3 lines of engraving.